I’ve done a little bit of work for the WriteForKids.org MG/YA Writing Blueprint. (Spoiler alert: I’ll be doing some more work with them soon!) It’s a fantastic video on-demand class on writing MG and YA fiction taught by the incomparable Alice Kuipers. Alice Kuipers and Laura Backes are doing a webinar to launch this online class on September 12th. Reserve your spot and check it out here. 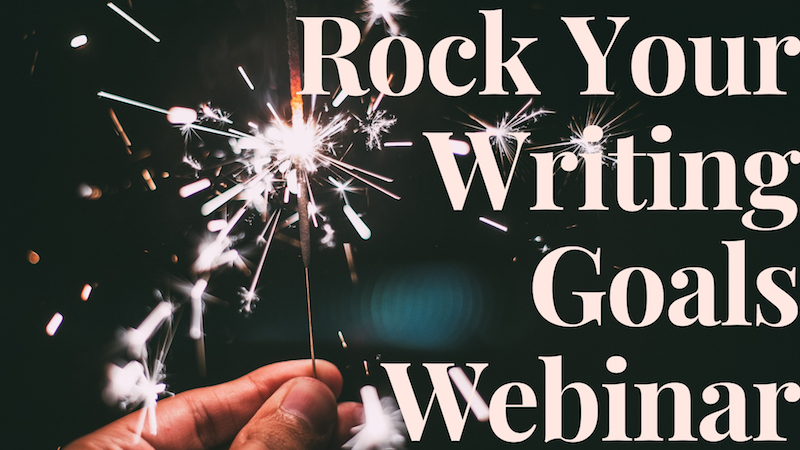 There is no sales pitch, it’s just an informational webinar if you’re interested in learning more about writing MG and YA fiction. The actual MG/YA Blueprint class will be available on September 19th! I’ll post a link when it’s up. 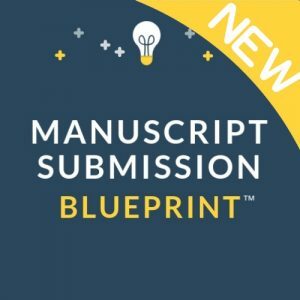 If you sign up for the Blueprint, make sure to find an interview with me about the craft of writing MG and YA in the bonus materials! My book has arrived at the Writer’s Digest warehouses and I got to see and buy a copy of it at the Writer’s Digest West conference this past weekend in Los Angeles. Hooray! Now it is only a matter of time before it gets out to bookstores and online retailers. Crazy, right? If you have pre-ordered it (thank you! ), I have no idea when it will ship, but I’m guessing sometime in the next two weeks rather than on December 4th (as is stated on Amazon). If, in the meantime, anybody sees the book in the wild at a bookstore or receives their copy, take a picture and send it my way–I would be thrilled to see it! I started the proposal in July of last year, sold the book on September 9th, 2011 and now it’s more than a year later and it’s a real thing rather than a Word doc on my computer. A lot of books have come into the world as a result of my efforts on behalf of clients, but none have yet been my own. It’s a trip. For those who don’t know, I took a WRITING THE BREAKOUT NOVEL by Don Maass approach to the guide and excerpted thirty-four middle grade and young adult novels to make various points about character, voice, setting, etc. I find that it’s a lot easier to teach with examples rather than simply sprout off on a topic. I recently contacted most of the authors whose books I talked about and offered them a review copy of my guide. On quiet afternoons, I love to sit curled up in a chair and read books about writing (really!). I’m a writing book nerd. 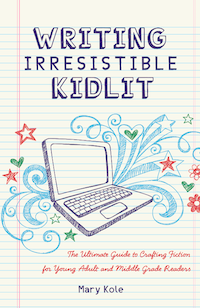 Mary Kole, literary manager at Movable Type Management who blogs at kidlit.com, just sent me a copy of her new book, Writing Irresistible Kidlit: The Ultimate Guide to Crafting Fiction for Young Adult and Middle Grade Readers. And ultimate is right. I can’t think of a topic Mary doesn’t cover. The book is lively and helpful—my only quibble is the term kidlit in the title. It’s my pet peeve, but a pretty minor quibble for what is a terrific book. If you want to write for children or are a writing book nerd like me, take a look at Writing Irresistible Kidlit. I recommend it. The original review is here. I am flattered and grateful for her kind words! I’ll cross-post more reviews as I receive them. You can see what I have to say about Karen Cushman’s work and the writing craft in general by pre-ordering my book today! 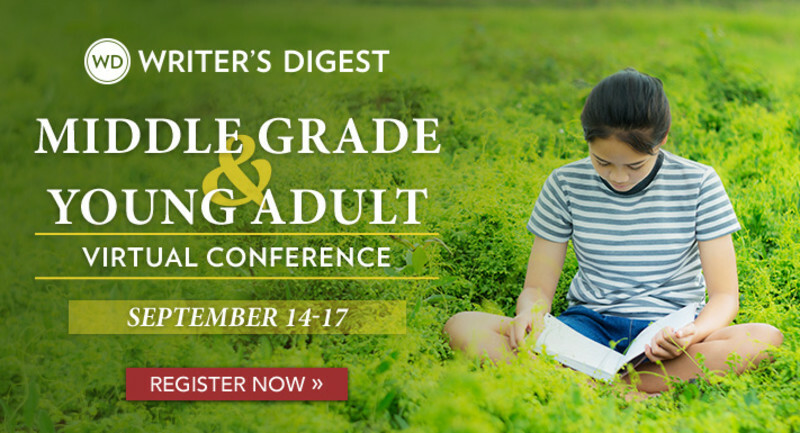 Speaking of more, well, uh, speaking on the writing craft, I’m teaching my Middle Grade and Young Adult Craft Intensive webinar with Writer’s Digest on Thursday, October 25th at 1 p.m. Eastern. As with all of my webinars, you don’t actually have to be available and logged in at that exact time and date to participate, but you should still register. All registered students, regardless of whether they attend the live event or not, get a recording of the session after the fact (audio and video of the PowerPoint), the opportunity to get all of their questions answered in a class-wide PDF, and a critique of the first 500 words of your MG or YA manuscript. It’s important to note that this might be my last time teaching on this topic for a while, so get in there while you can. Find out more and register here. This Thursday, February 9th, I’ll be teaching a Middle Grade and Young Adult Craft Intensive webinar at 1 p.m. Eastern. 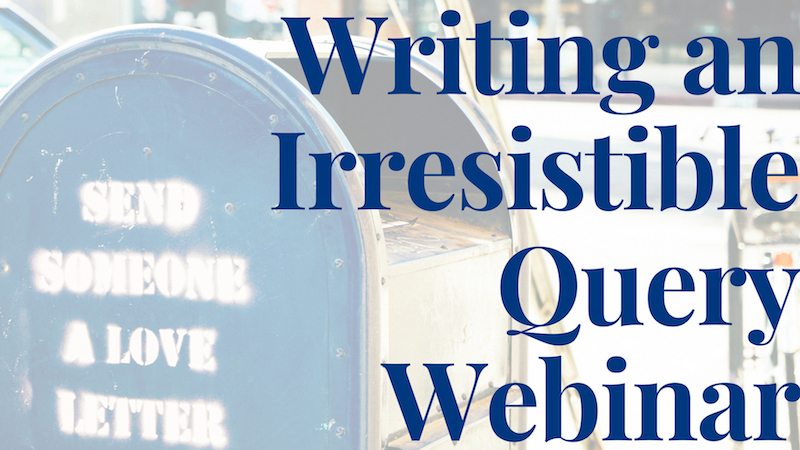 This 90-minute webinar will focus exclusively into the craft of writing fiction for the middle grade and young adult audience. I’ll talk about the marketplace, strategies to really make your novel stand out in the slush, character, plotting, tension, description, setting, voice, submissions, queries, and much more. 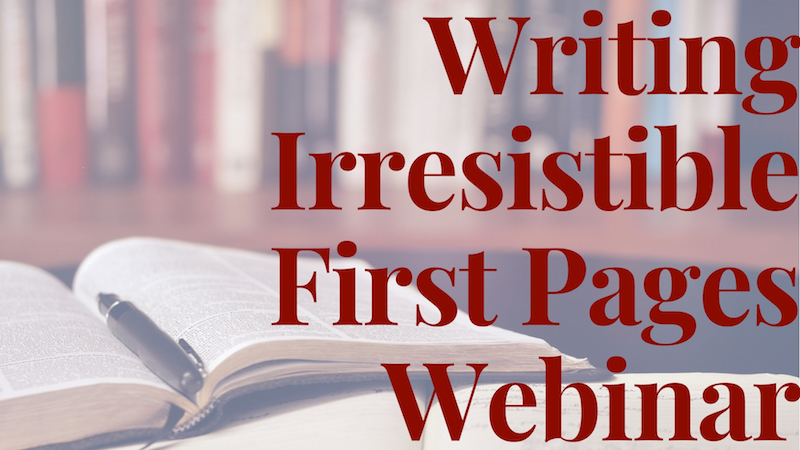 This is only the second time I’m teaching this webinar that’s specific to MG and YA novel writers, so if you missed the one I gave in September, this is your chance to hear it. You can sign up by clicking here. The personalized benefit of my webinars, as many of you already know, is that they include a critique from me for every registered student. For this one, I will read and critique the first 500 words of your MG or YA novel (one project per student, please). Instructions for submitting will come when you register for the webinar. If you’re having scheduling issues with the time or date, don’t worry. You don’t need to be available on the exact time and date to still benefit. By signing up, you will receive a recording of the webinar (emailed about one week after the original webinar date), you will have the same chance to ask questions as the other students, and you will still get your critique. So sign up even if this Thursday doesn’t work for you!